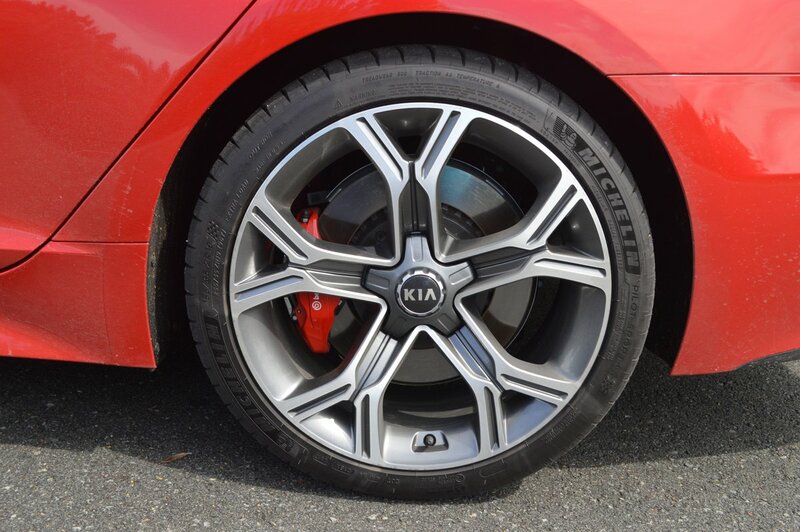 There are a number of adjectives which can be applied to Kia vehicles: economical, practical, affordable, good looking, reliable. But conspicuously missing from that list is fast. 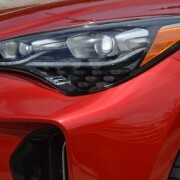 Until now, no Kia product could be described as fast. Stinger changes all that. 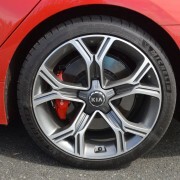 Without question, the GT2 is the first really quick Kia. 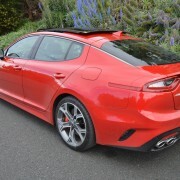 The twin turbocharged V6 Stinger GT2 accelerates from 0-60mph in 4.7 seconds and covers the quarter mile in 13.3 seconds at 107mph. 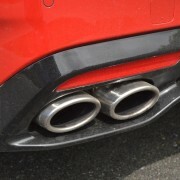 Now that’s fast in any league, and puts the Stinger into vaunted high performance territory no Kia has ever occupied. 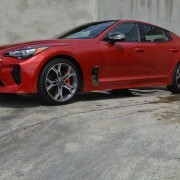 Although it performs like a BMW, Mercedes or Audi, the stingy Stinger still costs like a Kia: base price of $51,400 in fully loaded form – with nary a single extra charge to besmirch that affordable window sticker. 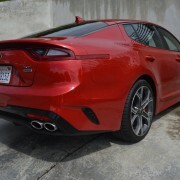 Makers of much more expensive German rocket ships will be paying close attention to Kia’s foray into their formerly inaccessible performance territory. 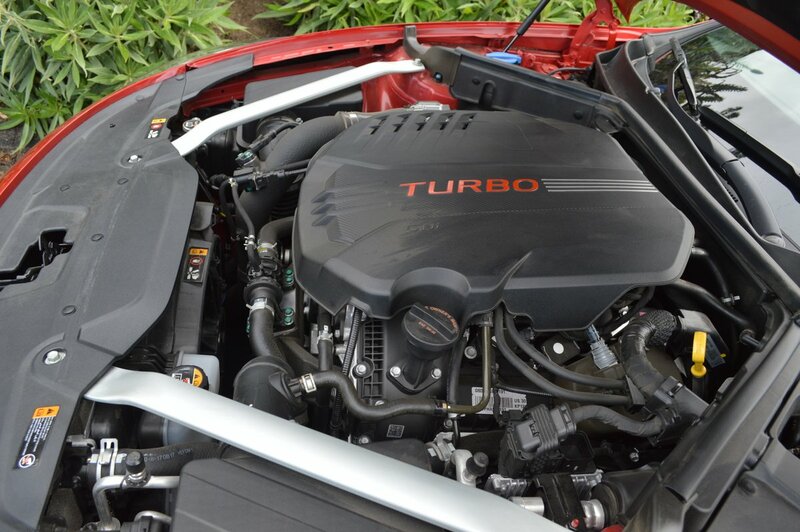 If you don’t need the shattering acceleration of the GT2, you can opt for the less expensive turbo 2.0 liter model which retails for $31,900 in rear wheel drive (RWD) form, or the RWD version of the GT2, which runs $49,200. 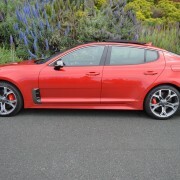 But with the flat out thrust of the AWD GT2, why not opt for Kia’s ultimate Stinger? 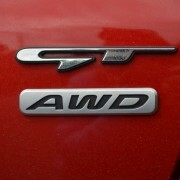 Are there any other four seat, four door cars capable of running 169mph available for just fifty grand? 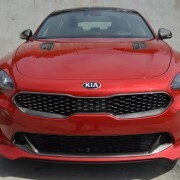 Introductory Stinger advertising used former F1 and Indy 500 champ Emerson Fittipaldi to demonstrate the handling prowess of the new Kia. 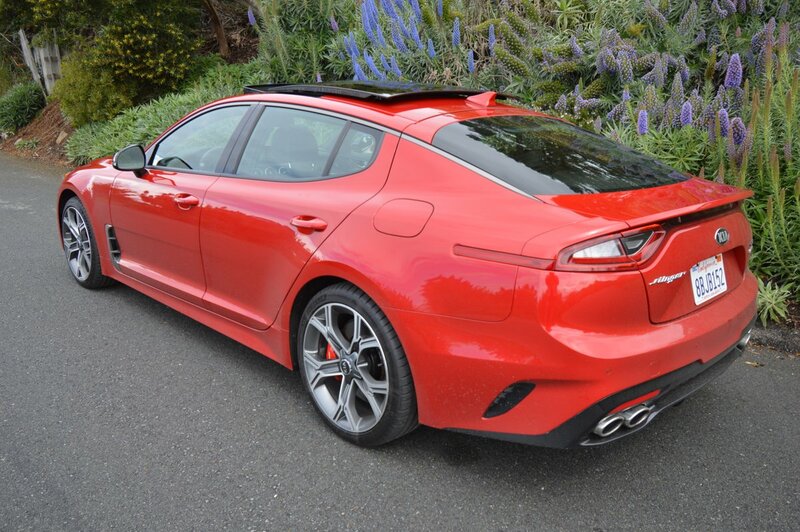 If you took the time to read the small print on that ad, you would discover that only the V6 Stinger equipped with standard 19 inch diameter alloy wheels would qualify for that 169mph speed rating. 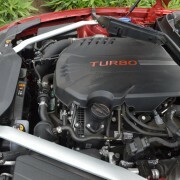 The 2.0 Turbo comes with 18 inch rims. 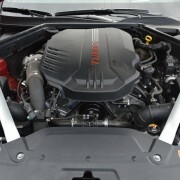 Our test car was the striking 19 inch alloys mounting V-speed rated Michelin Pilot Sport 4S tires (225/40VR19 up front and 255/35VR19 out back) with a Traction Rating of AA and a TW Rating of 300. 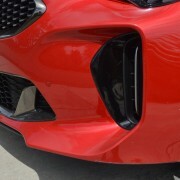 Although we never exceeded 75mph in our test of the Stinger, it’s comforting to know that an extra 100mph is on tap should you find yourself – like Emerson Fittipaldi – entered in the Indy 500. 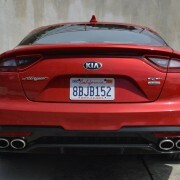 The Stinger is not only the fastest Kia of them all, but also the best looking. 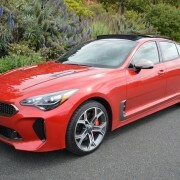 Despite the fact that it offers a stretched wheelbase of 114 inches, Kia stylists have managed to disguise the Stinger’s length with sheet metal so seductive that your hardly notice the presence of four doors. The 55 inch high roofline exaggerates the sleek profile, but necessitates careful step-down entry lest you whack your head. Once ensconced in the quilted Nappa leather bucket front seats, you grab the fat rimmed, perforated leather steering wheel, click the palm shaped shift lever into Drive, select first gear with the elephant-eared aluminum paddles, and vigorously toe the responsive aluminum throttle pedal. 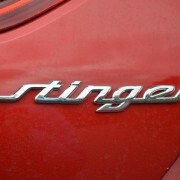 Stinger jumps to your command with such decisive thrust that you feel like a kid on the Big Dipper at Disneyland. 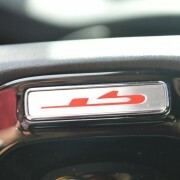 The GT2 makes the chore of driving fun again. 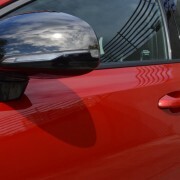 It’s also a practical choice for daily use, thanks to its hatchback configuration, low rear loading height, and wide, flat interior storage platform. 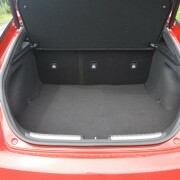 Even full sized adults will enjoy the spacious rear seats. 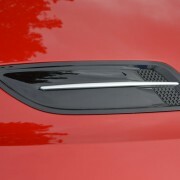 Stinger’s unexpected utility as a sedan belies its sports car appearance. 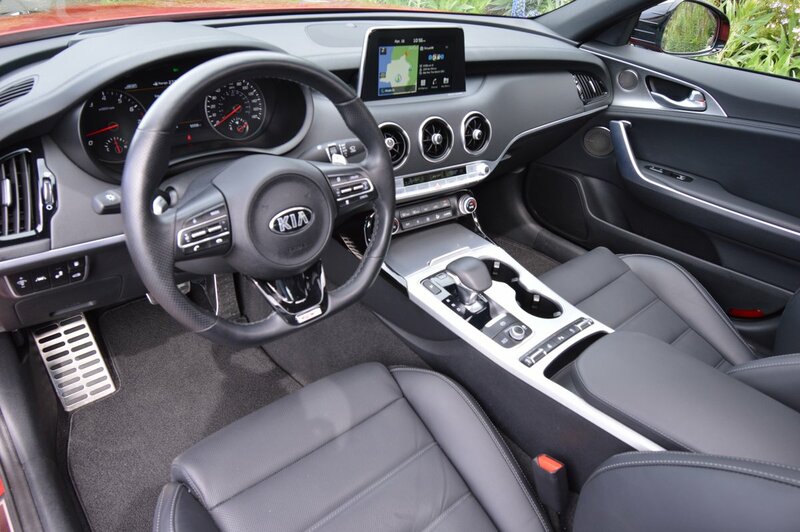 Kia provides a full complement of safety measures as standard issue here: forward collision avoidance and warning, smart cruise control with stop and go, lane keep and departure warning, and driver attention warning. 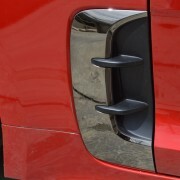 However, the Stinger is so engaging to drive that it’s difficult to envision a situation where its driver needs a warning to remain attentive. 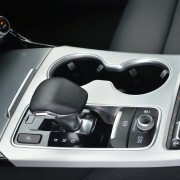 Handling in such a swift module receives a boost from the Dynamic Torque Vectoring feature of the all-wheel drive system. This safety overlord takes some getting used to, as you can feel DTV kick in when you alter your line on a sweeping curve. To the uninitiated, this DTV-generated lurch can feel disconcerting. 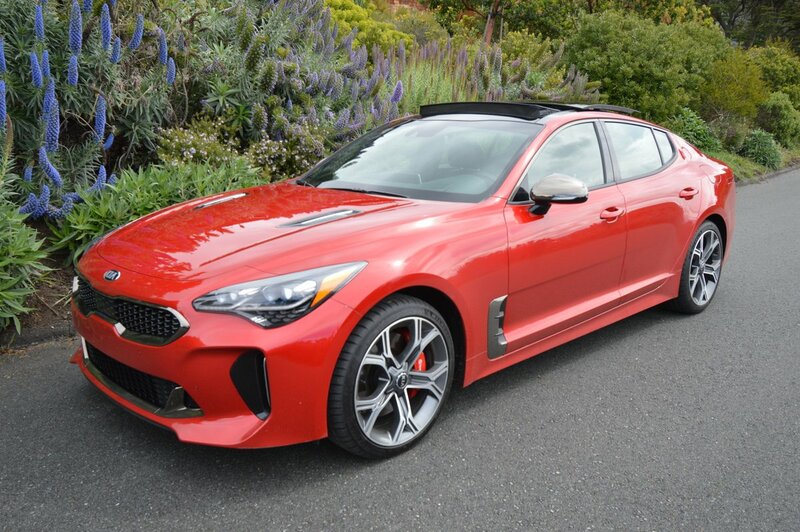 Kia offers Stinger drivers the choice of 5 Drive Modes (Eco, Smart, Comfort, Sport, Custom) to tailor the electronically controlled suspension to the performance envelope of choice. 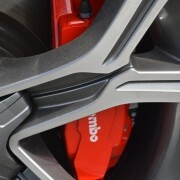 Should you need to resort to brake force, note that the GT2 comes with the best binders you can find on any high performance car: Brembo Performance Brakes. These ventilated monster discs will arrest your Stinger quicker than an F-18 Hornet landing on a carrier deck.